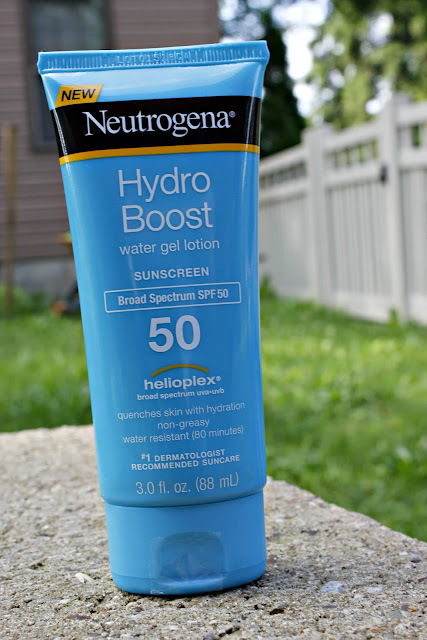 Neutrogena has a fantastic line of NEW water gel lotion that we got to try! 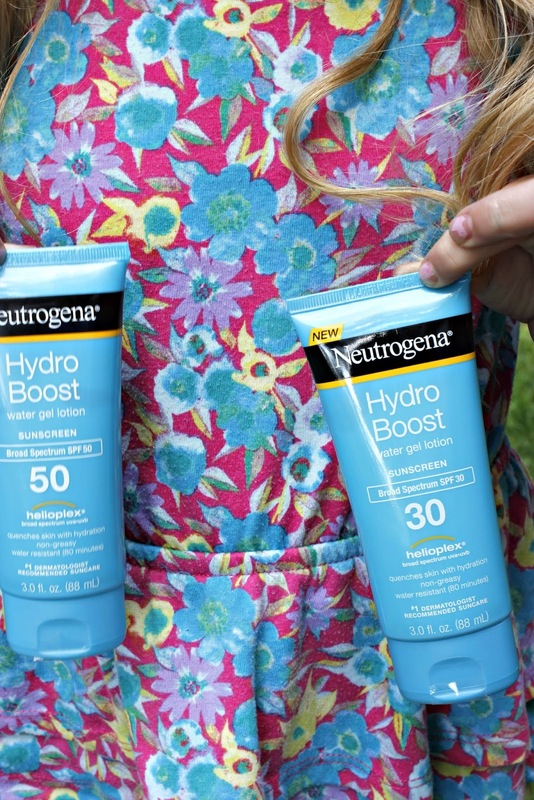 I am already a huge fan of all things Neutrogena, so I was so excited to try these on myself and my little mini! I am obsessed with applying sunscreen each and every time I leave the house. I have ingrained this in my daughter. I actually think I have made her slightly obsessed, as well. I found her refusing to leave the house for my son's baseball game without applying sunscreen! 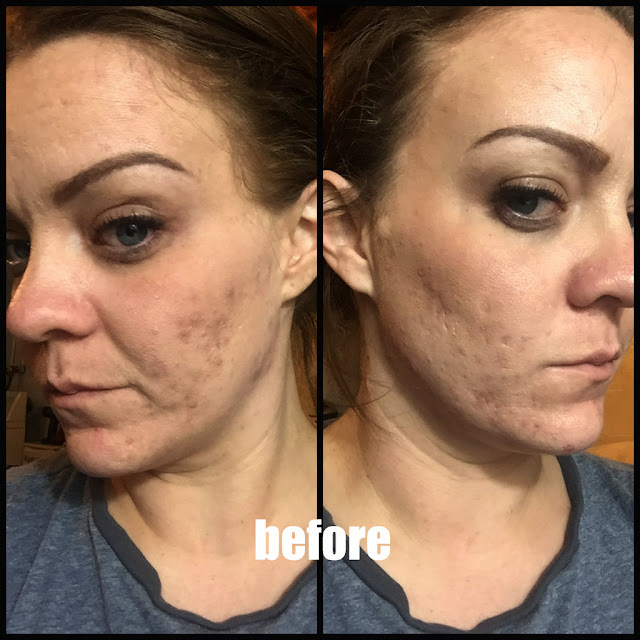 Hey, at least we will have nice skin, right?!? With 80 minutes of water resistance, an infusion of Hyaluronic Acid and Vitamin E and addition of glycerin makes for a pretty great product. 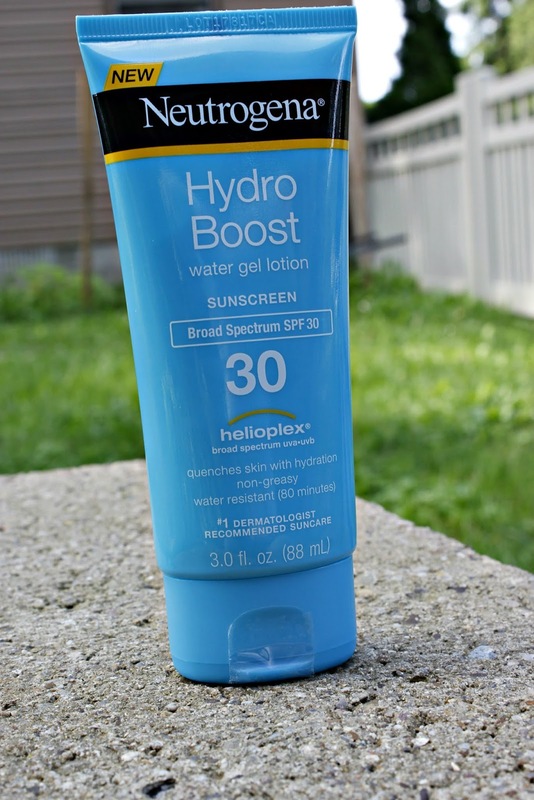 The Hydro Boost applies super smooth and doesn't feel sticky or greasy. We got to try the SPF 50 and SPF 30. 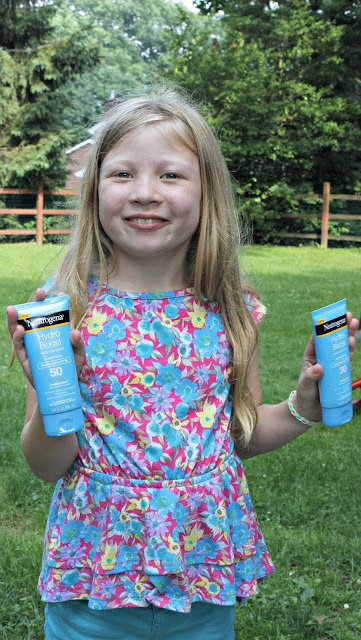 I prefer the 30 and I try to get as high of an SPF as possible on Marlee, so she got to try out the 50. We both loved our experience with the NEW Neutrogena Hydro Boost! With the easy application, long lasting staying power and the protection, this is a sunscreen that we will definitely be using for the long term!